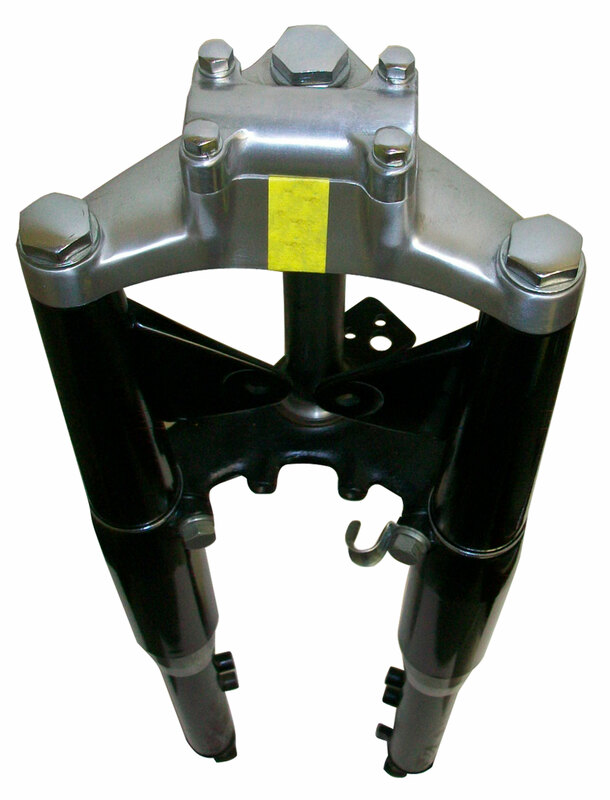 K-10 Complete Telescopic Front Fork Assembly for lightweight and medium weight machines. 1" fork stem which is approx. 6.5" in length with a black painted finish. Distance from Bottom Triple Tree to Axle is 16"
Top Triple Tree to Axle is 24"
This item is brand new, however, due to storage, there may be some minor dents or scratches on them. Q: Where can I find this, or similar item? A: These were purchased in a buyout and we no longer have any available. Also we do not have any recommendations on other carrying a similar item.